IBM offers the industry's broadest portfolio of flash storage arrays to meet your needs and budget. Many IBM Flash Storage systems offer a package of guarantees, upgrade programs and extended support options. 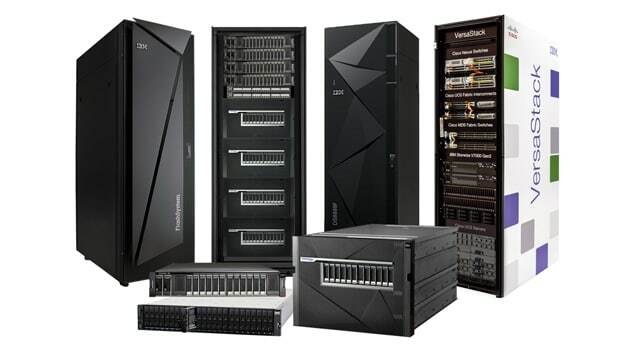 The IBM FlashWatch programs demonstrate our confidence in the successful deployment of IBM Flash Storage systems in your production environments. Choose from two options. Get guaranteed capacity savings of up to 5:1 based on an analysis of your data. Or, choose an effortless 2:1 capacity savings guarantee without the need to collect data and generate reports. Reduce the cost of flash storage upgrades. Three years after your flash array purchase, you can choose to purchase an equivalent next-generation technology controller, at the price of three years ongoing hardware and software maintenance. Avoid the costs and risks related to downtime. When you engage IBM Lab Services to deploy a high-availability configuration using IBM HyperSwap, IBM guarantees zero interruption to data availability during the guarantee period. Acquire 24x7 support for up to seven years. In addition, your flash system purchase includes the AI-based IBM Storage Insights platform, which provides no-charge web-based monitoring, streamlined capability for managing support tickets and pro-active support from IBM technicians. Deploy innovative flash storage with confidence. In the unlikely event flash drives fail, IBM will replace the affected drives at no charge through the applicable warranty period, plus up to six years of optional post-warranty hardware maintenance. Move data from existing storage quickly and easily at no charge with built-in software. You can migrate data from over 440 different storage systems from IBM and others. A data migration wizard makes the process straightforward. Available with select IBM Flash Storage systems. Terms and conditions apply. Contact your IBM Representative or IBM Business Partner for full details.